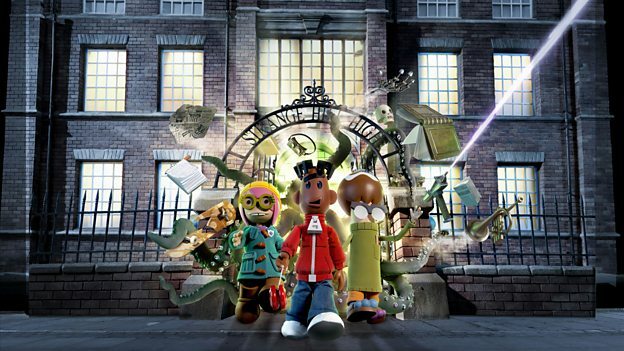 Come and meet CBBC puppeteers Tim Jones and Nick Kellington as they take you through the weird and wonderful world of Strange Hill High’s rod-puppetry. This event is repeated at 2.30-3pm and again at 3.30-4pm and a limited number of tickets will be released on the day, so get there early !! And on Sunday 10th its pretty much exactly the same but the Strange Hill High events are on at 11-11.30 am, 12-12.30pm, 1.30-2pm, 2.30-3pm and 3.30-4pm. This entry was posted in Free events and happenings and tagged cbeebies tent, cbeebies tent festival, cbeebies weekends at bbc tent, family events at bbc tent, free events for kids, mrs mash at bbc tent, storytelling, strange hill high by Edinburghfestivalsforkids. Bookmark the permalink.